As you head east along the riverside walk away from Ballast Quay you come to Enderby Wharf and a two storey building known as ‘Enderby House’. This Grade II listed building and the family that built it has a rich and interesting history. ​The plain facts are simple. The house was built for Charles Enderby (1797-1876) between June 1845 and April 1846 and he lived there until August 1849. Later that year the house and surrounding Enderby Hemp and Rope Works site were put up for sale. However, new owners were not found until 1857, when Glass, Elliot and Co expanded from the Morden Wharf site next door and the house became their management offices and boardroom. For the next one hundred and fifty one years it served many functions as an integral part of the manufacturing facilities of the world’s leading submarine cable suppliers. Under Standard Telephones & Cables (STC) ownership, in June 1973 it was granted Grade II listed status by English Heritage. In 2008, it was sold by Alcatel-Lucent Submarine Networks (ASN) to property developers. However, the story of the family that had it built is perhaps a little more interesting. The ancestors of Charles Enderby can be traced back to the English Civil War, during which they supported Oliver Cromwell (1599-1658) and were rewarded with confiscated lands in Ireland. These were sold off shortly after the Restoration of the Monarchy in 1660. By the time of the Great Fire of London (1666), a branch of the Enderby family were proprietors of a tannery in Bermondsey (now in the London Borough Southwark). This business was passed down from father to son until, at the beginning of the 18th Century, it came under the control of Daniel Enderby (1681-­1766). Daniel was keen to raise the social status of his family and in 1735 he indentured his son Samuel (1719-1797) as an apprentice cooper (barrel maker). Samuel became a freeman of the Worshipful Company of Coopers in 1742 and set up his own business, based at Paul’s Wharf in the City of London. Ten years later he married Elizabeth Buxton, the daughter of a rich merchant from Essex. Buxton and Enderby went into partnership to exploit the growing market in whale oil. Their business was based on shipping finished goods from England and Europe to the colonies in America and returning with whale oil purchased from the American whaling fleets. The whale oil was used for oil lamps and the manufacture of soap and candles. All went well and the business grew rapidly until the Boston Tea Party (1773) and the subsequent American Revolutionary War (1775-83). Robbed of access to the American market for finished goods and the source of whale oil, in 1775 Samuel Enderby set up his own company, Samuel Enderby & Sons, and for the first time became directly involved in whaling and seal hunting. He targeted the South Atlantic and Pacific Oceans and by 1791, the company owned or leased 68 vessels (a mixture of cargo and whaling ships). Five of these took part in the ‘Third Fleet’ transportation of convicts to Sydney, Australia in 1791. The Enderby’s plan was to obtain contracts from the British Government to transport convicts and then to send the ships whaling, returning to England with whale oil and seal skins. However, the Third Fleet contracts were the only ones they were able to secure. more importantly, male heirs. He became the managing partner in the business. the company, sponsoring a number of expeditions south of Australia and New Zealand into Antarctic and sub-Antarctic waters, naming and claiming for Britain a number of new land masses. However, two decades of intense whaling and seal hunting had driven the whale and seal populations close to the point of extinction. At the same time competition from American and Australian based whaling companies was becoming difficult to withstand. Perhaps worse, the use of gas for lighting was becoming more popular, causing a major decline in the demand for whale oil. By the time Samuel Junior died in 1829 the company was on the downward path. 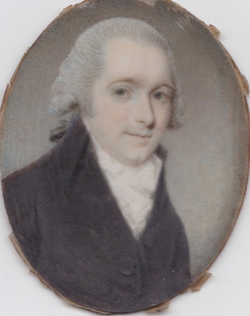 It was left to three of his five sons: Charles (1797-­1876), Henry (1800-76) and George (1802-91). The company was then renamed Messrs. Enderby Brothers. 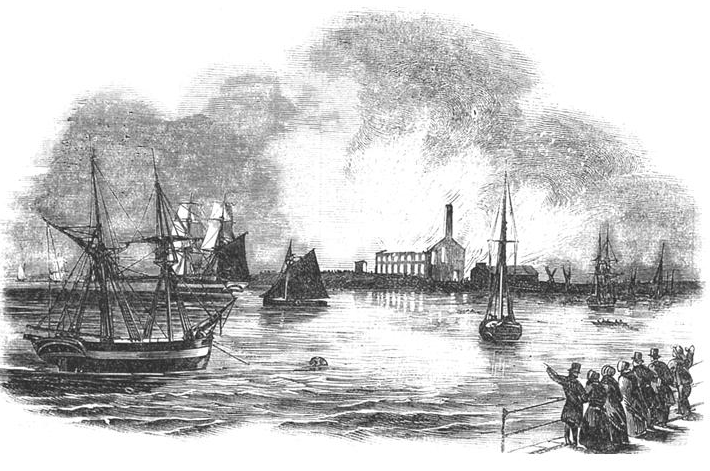 They were not great business men but they recognised the need to diversify; so in 1830 they purchased a site on the Greenwich Peninsula, where they built a rope and sail manufacturing factory known as the Enderby Hemp and Rope Works. This was quite successful and brought over 250 jobs to the area. However, on 8 March 1845 the factory was destroyed by fire. In parallel with developing the rope and sail business the brothers had spent large amounts of the company’s capital reserves on building a new ship the Samuel Enderby and sponsoring three expeditions to the Antarctic. These voyages were successful from a geographical discovery point of view but were a commercial disaster. It also appears that the Hemp and Rope Works was underinsured. 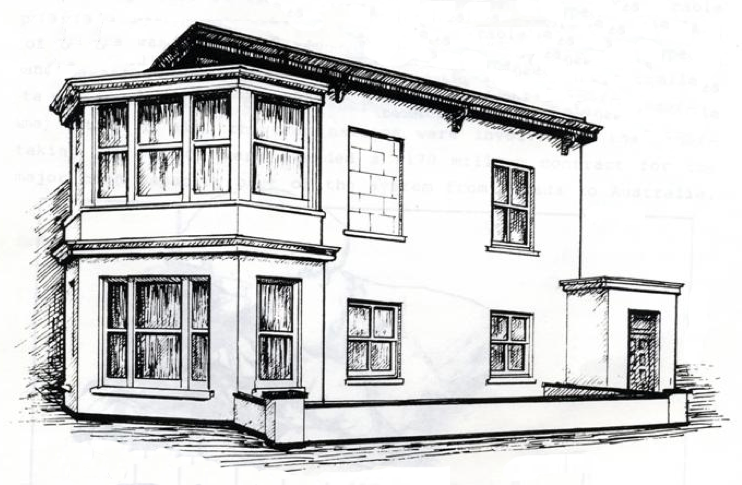 Instead of investing what insurance money they did get in rebuilding the factory, Charles built Enderby House and leased even more land from Morden College, in order to build a coach road up to his new front door. 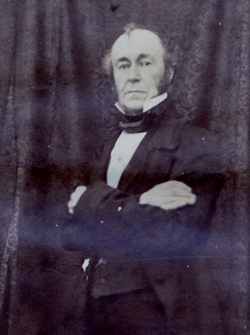 Commissioner of the settlement, which was to be known as Hardwicke, after Charles Philip Yorke (1799­-1873), the 4th Earl of Hardwicke, who was the chairman of the company. Charles was also made Governor General of the Auckland Islands under royal charter. 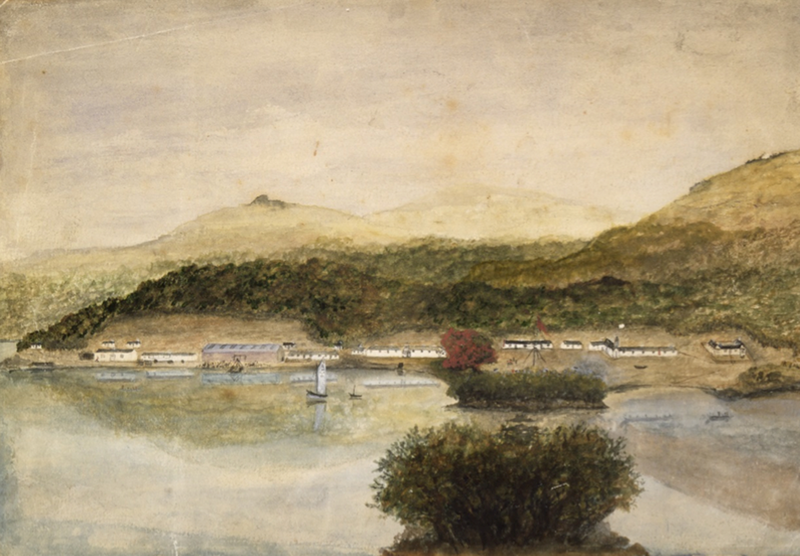 Almost immediately after his departure for the Auckland Islands in August 1849, it was announced that Messrs. Enderby Brothers was in financial difficulty and could not service its debts. At the same time the derelict Hemp and Rope Works had been put up for sale. The Hardwicke Settlement was not a commercial success. Charles resigned his positions and returned to England in late 1853. With Charles’ return to England, the affairs of the Messrs. Enderby Brothers were finally wound up in 1854. In 1857 Enderby House and the 14 acres (5.66 hectares) site were sold to Glass, Elliot & Company. Enderby House’s 151 years’ association with the submarine cable systems industry had begun. It is most unlikely that Charles took up residence again in Enderby House during the three years before its sale. He died intestate, a lonely and bitter man, on 31st August 1876 at his sister’s house in Kensington, London.